Hwy. 2 & 110th Ave. This farm consists of 30.32 FSA cropland acres with .74 acres of CRP. The farm carries effective crop acres of 30.32 with a 40.3 CSR and a 46.1 CSR2 on the tillable acres. Productive soil types include Clarinda, Seymour and Edina. The farm is located 1.5 miles west of Plano on Hwy. 2 in Section 30, Johns Township, Appanoose Co., Iowa. The North 1/2 of the Southeast 1/4, Section 30, Excluding the west 31.9 acres, all being in Township 69 North, Range 19 West of the 5th P.M., Appanoose Co., Iowa. Exact legal description to come for abstract. CRP - 74 acres of CRP. 1.5 miles west of Plano on Hwy. 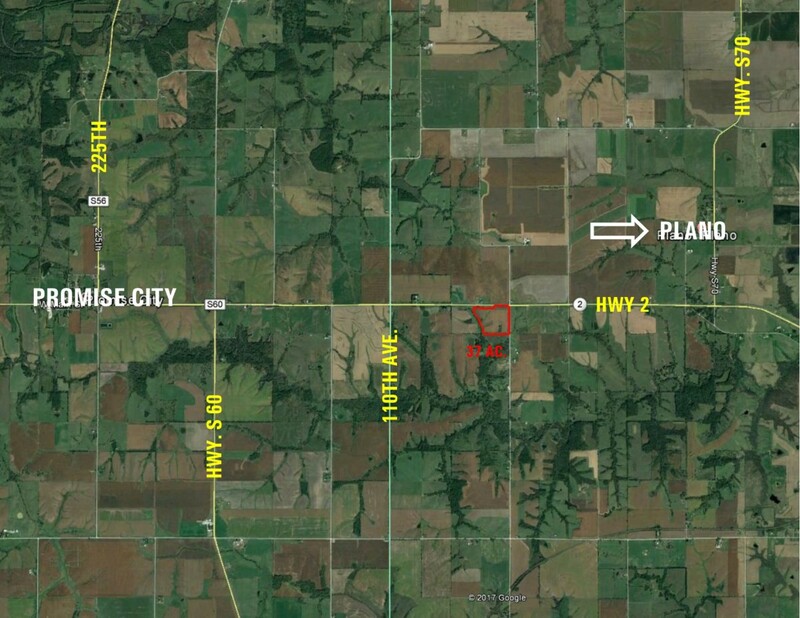 2, the farm is located on the southwest corner of 110th Ave. and Hwy. 2. CRP Information: .74 acres enrolled, 10-1-2015 to 9-30-2030. $251.58 per acres, annual payment of $186.00. Open for the 2018 crop year.